Beagles touch seniorhood when they reach an age of around 9 years. They usually can't run around so much during this phase. As they tend to put on a lot of weight due to their idle lifestyle, they greatly benefit from a diet that has less fat and calories. 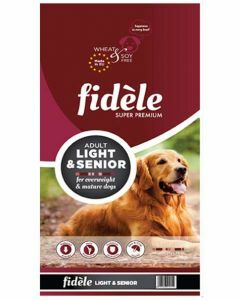 At PetsWorld, we have the best Beagle Senior Foods from well-known brands like Hills Science, Fidele, Orijen, Pedigree etc which has been formulated to meet the energy and nutritional needs of elderly medium dogs like Beagles. 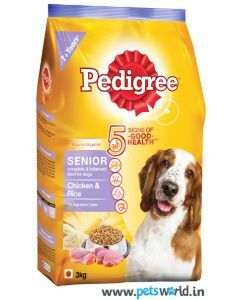 A diet like Pedigree Senior Adult Dog Food contains prebiotic fibres to promote good digestive health in the elderly Beagles. It also increases life expectancy due to its excellent multivitamin formula. 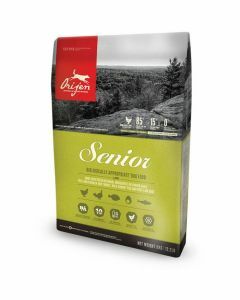 Orijen Senior Dog Food is a biologically appropriate diet for your senior beagles having an adequate proportion of different animal protein for keeping good strength and muscle mass. 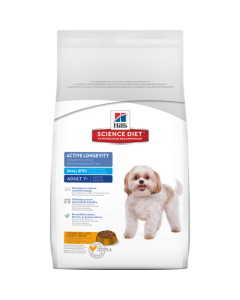 The protein also keeps your dog feeling full, thus reducing their chances of becoming overweight. 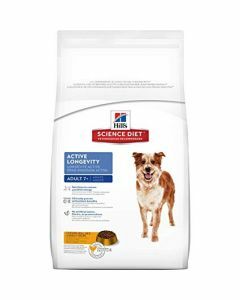 Hill's Science Diet Adult 7+ Active Longevity Original Dog Food is a high-quality nutritional diet which brings back the youthful energy of Senior Beagles due to the presence of clinically proven anti-oxidants in it.